A few days ago i found a wall clock thrown in garbage (while i was searching for one of the community dog puppy :). From past experience i was sure that the internal mechanism was still functional. then an idea struck to my mind! Why don’t i take it apart (which i would have done later anyway) and drive the motor with Box0! I removed all the gear mechanism that was not required to run the motor. Now what left was just the motor(the coil+ magnetic rotor) and the battery compartment. I soldered two wires to the coil solder pad (coming out of the IC underneath epoxy). Now, after understanding the signal, i completly removed the driver circuit. Attached two wires to the coil copper wire and connected them to Box0 (AOUT0.CH0 and GND). Finally i wrote a little Python script, and it started working as expected! I was curious if i could run the motor at different speeds. 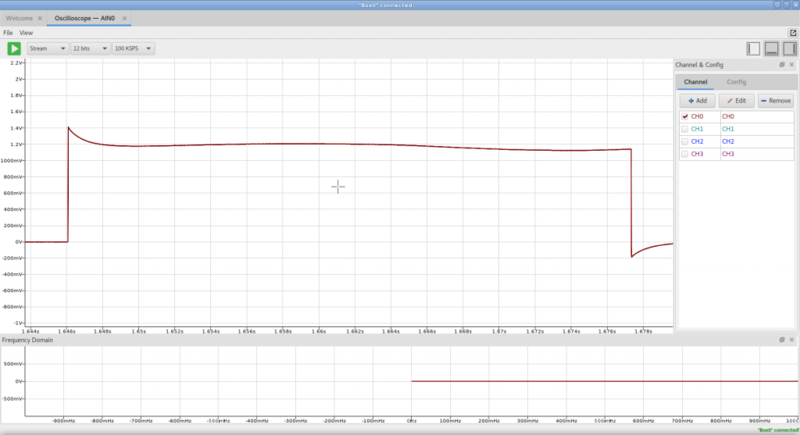 My first guess was to vary the waveform timing to see if it has any effect on motor speed. So i made variants of “Original” signal in code and it idea worked. a seemingly useless little clock motor get to see another day! This is awesome, I see an application of using Box0 with wall clock, we don’t have to worry about Daylight Saving Time (DST) changes which do not necessarily occur on the same date every year. For example in 2016 DST started on Sun, Mar 13 and ended on Sun, Nov 6 , in 2017 Sun, Mar 12 / Sun, Nov 5 and in 2018 it will be Sun, Mar 11 / Sun, Nov 4 . Clock can be programmed to work automatically it will be specially useful at clocks at public places . And if you are in synchronization with NTP it will be the best, Which is definitely possible . *In this context it is worth mentioning that the strong reason behind usage of analog clocks in this digital age is – the “principal of visual management” , reading and comprehending the meaning of the clock hands occurs instantaneously for human brain (feel of time) with compared to reading a digital clock.